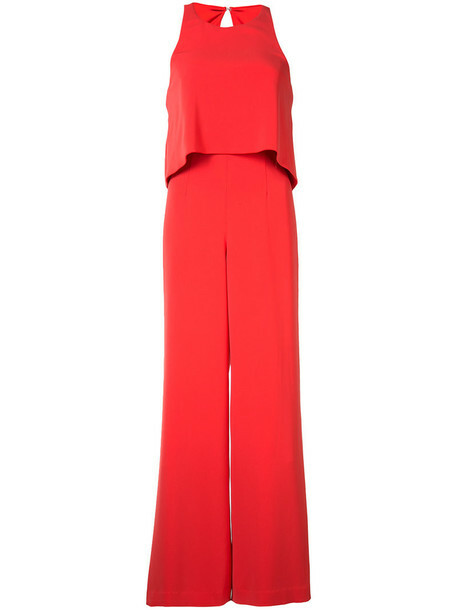 Coral red layered sleeveless jumpsuit from Jay Godfrey. Size: 2. Gender: Female. Material: Polyester/Spandex/Elastane.